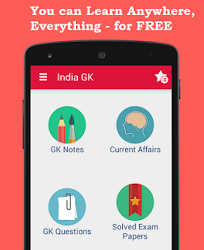 26 August 2016 Current Affairs MCQs, Quiz, Questions: Current Affairs for August 2016, Daily Multiple Choice Questions (MCQs) for India GK, World GK and current affairs with Collection of daily objective type Question by www.Indiagk.net based on General Knowledge (GK) and General Science (GS) Questions for UPSC, State PSC, SSC, Police exam, Railway exam, SBI, Bank PO, IBPC, SSC, LDC, UDC, Army, Airforce, Navy, Coast Guard, Bank Clerk, TET and all entrance examination with current affairs News, Multiple Choice Questions (MCQs) available on Website www.IndiaGK.net and Android Apps with daily updates:. The world’s first self-driving taxis made its debut in which country on 25 August 2016? The first Children Court of South India has launched in which of the following cities? 14th Pravasi Bharatiya Divas in January 2017 will be held in which City ? POCSO e-box launched to protect children from ----------- on 26th August 2016 ?